Virginia June Brumley, the second oldest of 13 children, was born to Henry Flowers and Edna Virginia (Hicks) Flowers on March 18, 1953 in Fulton, Kentucky. She left this world to join God with lots of love left to give on Saturday, November 9, 2013, at 10 PM at her home in Vienna. Edna later married Thomas Nichols from Camden, Tennessee on March 12, 1955. He provided for June and her other 6 siblings who survive her: Roy (Rita) Nichols of Olmsted, IL, Debbie Ming of Vienna, IL, Glynn (Patricia) Nichols of Cypress, IL, Patty (David) Lasley of Cypress, IL, Anita (Bob) Huff of Delta, CO, and Stacy Nichols of Scott City, MO. Also surviving siblings are Florence Worrell, Pamela Edwards, Rose Marie Flowers, Camellia Burgess, Holly Worrell, and Hank Flowers, Jr. all of Union City, TN. Most importantly, June leaves behind her loving husband Roger of Vienna; 3 daughters – Juanita Baker, Heather Baker, and Ruthie (John) Skamser; 6 grandchildren – Abigail Rogers, Ronnie Rogers, Amelia Rogers, Aidan Baker, Raelyn Brumley, and Isaiah Brumley all of Vienna; her loving mother-in-law Catherine Brumley of Vienna; 2 sisters-in-law Donna (Chuck) Girtman and Cindy (Pete) Vinson; and a brother-in-law Robert (Karen) Brumley. She is also survived by numerous nieces and nephews along with several special friends. June was preceded in death by her youngest daughter, Anastasia Brumley, whom she never stopped missing; her parents – Thomas and Edna Nichols; her stepmother – Pansy Flowers; her grandparents – Vance and Edell Hicks, Elizabeth and Sam Flowers, & Minnie and Garvin Nichols; her father-in-law Ado Brumley; and 2 loving brothers-in-law – G.W. Ming and Larry Worrell. June wanted to say to her friends, sisters, brothers and relatives how much she loved them. June loved gardening, reading, cooking, spending time with family and friends and spoiling her kids and grandkids that she dearly loved. She also wanted everyone from her work at General Dynamics Ordinance and Tactical System to know what a difference they made in her life. June met and loved you all and you left an impression on her heart and hopes she left one on yours. God Bless You. Funeral services will be held 11 AM Tuesday, November 12, 2013, at Bailey Funeral Home in Vienna. Burial will be in the Pleasant Ridge Cemetery, north of Vienna. Visitation will be from 5 PM – 8 PM Monday, November 11, 2013, at Bailey Funeral Home in Vienna. 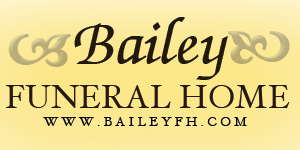 Memorials may be made to an education fund to benefit June’s grandchildren and may be left in care of Bailey Funeral Home, P.O. Box 695, Vienna, IL 62995.